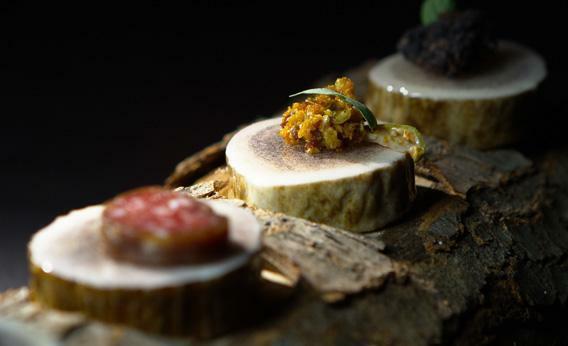 Next in Chicago: How Grant Achatz’s restaurant reinvents itself every four months. A restaurant in Chicago puts on a different show every four months. Photo by Christian Seel/Courtesy of Next Restaurant. The humble carrot. What can you do with a carrot? 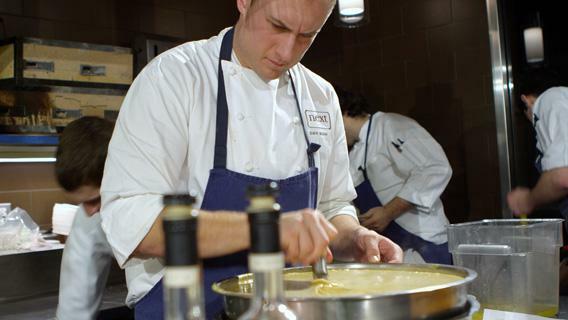 Well, if you’re Dave Beran, executive chef of Next, an avant-garde restaurant in Chicago, you instruct farmers around the Midwest to pluck 600 pounds of carrots out of the ground upon the first frost in October. You have the farmers bury these carrots in mounds of sawdust, knowing the vegetables will dry out slightly and sweeten. Months later, you roast 120 dried out, woody carrots each day until they are soft and very sweet, their colors jewellike, their flavor bold and bright. 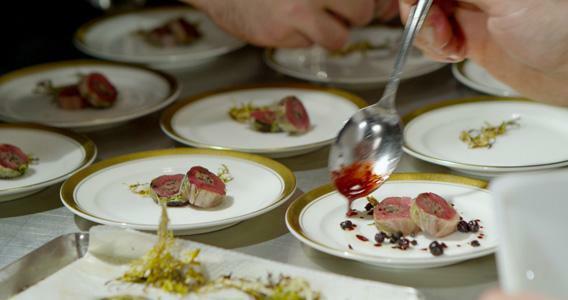 You serve them to diners nearly unadorned on a handmade plate during an elaborate theater-like night of dining called “The Hunt,” and finally show what a carrot can be. This third of the year, the menu, with those carrots, is called “The Hunt.” Dreamed up by Beran, “The Hunt” revolves around wild game, blood, organs, nature, hunting life. Its somewhat macabre trailer closes with a hand holding a bright-red beating heart. 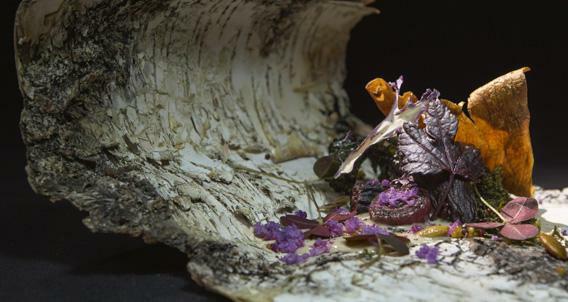 “The Hunt” is essentially the opposite of Next’s previous production, “Kyoto,” a Japan-inspired, seafood-focused menu. The Baronial Old World hunting music and deer pelt table settings of today’s Next would not have made much sense just a month ago. This sort of production has its risks. Go too showy and the restaurant will seem gimmicky, like an upscale Rainforest Cafe. Get too conceptual and the whole thing’s just pretentious. The other big risk is financial. So a futuristic space theme is not in the cards at the moment. What’s next at Next? As if committed to making their lives as fragmented and chaotic as possible, Kokonas, Beran, and Achatz say their next production after the game-heavy “Hunt” will be … all vegan.